My overall experience was very satisfactory and that is why I am recommending this tool and service to you. 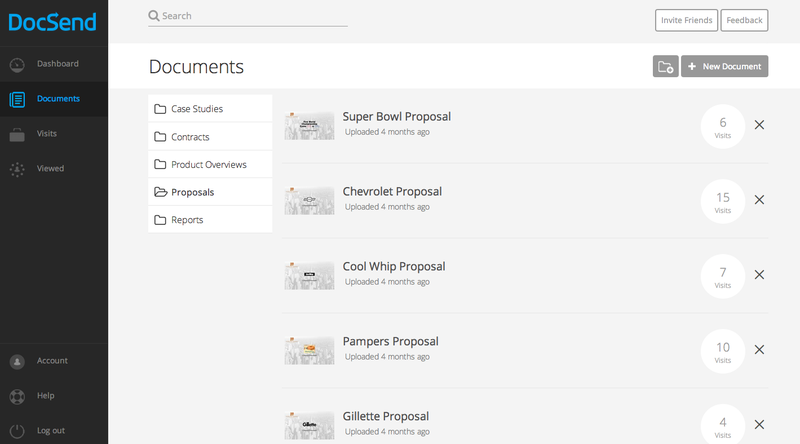 DocSend works really great if you want to send out a doc to a prospect and want to track when they open it and what content they view. The reporting on this works really well and I've been happy with this functionality. Where it falls short is when you're trying to use it for a live demo utilizing the join.me integration. There are a lot of issues when you try to switch your screen and it only works 2/3s the time. I'd prefer an all-in-one solution instead of this Frankenstein model. AeroLeads is a good tool for generating leads or prospects with very good accuracy. AeroLeads is a good CRM tool for generating leads or prospects. It is a multipurpose tool- unlike other tools which can only find emails or just can add leads to the CRM databases, AeroLeads has a floating button whenever you open a LinkedIn profile, you can just click the AeroLeads icon and add the leads to your AeroLeads dashboard. Really good at tracking whenever someone views your presentation, including where they are opening the presentation. They allow you to control whether a prospect is able to download the presentation or not. I like the ability to skip around in my deck without the viewer seeing that. Website sometimes crashes and takes a while to respond, and then I have to go back to the first step. One of the best thing I found free email verifier through which I was able to verify my old leads as well and for my assignment that was something efficient way I found to get connected with the people. We have chosen DocSend because it has some features that others doesn't have, such as security features monitoring files you have uploaded in it. In addition, you can securely disable the online PDF if you want people to input a password or require an email address before someone could view the file.